AEAweb - Information for economists provided by the American Economic Association. Beyond Capitalism: Leland Stanford's Forgotten Vision - Leland Stanford was the prototypical "Robber Baron", one of the "Big Four" founders of the Central Pacific Railroad, who by the mid 19th Century had amassed a fortune of many millions of dollars. Yet during the final decade of his life, Leland Stanford was possessed by the vision of an American industrial system owned not by tycoons like himself, but by its workers. Chicago Political Economy Group (CPEG) - Members of CPEG include academics, political activists and others who have a serious interest in progressive political economy. City Political Economy Research Centre (CITYPERC) - A leading hub for the study of political economyoperating from City University, London. Corporate Watch - News, analysis, research tools and action resources to respond to corporate activity around the globe. Dollars and Sense - Bi-monthly magazine of economic issues and opinion. Economic Policy Institute (EPI) - A nonprofit, nonpartisan think tank that seeks to broaden the public debate about strategies to achieve a prosperous and fair economy. Federal Reserve Economic Data (FRED) - Through the FRED database, the Federal Reserve Bank of St. Louis provides consumers, students, economists and financial institutions around the world with economic and financial information in an easy-to-use format. Fernand Braudel Center - For the study of economies, historical systems, and civilizations. Global Trade Watch (GTW) - GTW's mission is to ensure that in this era of globalization, a majority have the opportunity to enjoy economic security, a clean environment, safe food, medicines and products, access to quality affordable services such as health care and the exercise of democratic decision-making about the matters that affect their lives. Glossary of Political Economy Terms, A - Prepared by Dr. Paul M. Johnson of Auburn University. Governance in Areas of Limited Statehood - How can effective and legitimate governance be sustained in areas of limited statehood? What problems emerge under such conditions? Governance and Social Development Resource Center (GRC) - Aims to help reduce poverty by informing policy and practice in relation to governance, conflict and social development. Hoover Institution - Stanford University public policy research center devoted to advanced study of politics, economics, and political economy - both domestic and foreign - as well as international affairs. International Crisis Group - Building support for the good governance and inclusive politics that enable societies to flourish. We engage directly with a range of conflict actors to seek and share information, and to encourage intelligent action for peace. International Monetary Fund (IMF) - An international organization of 182 member countries, established to promote international monetary cooperation, exchange stability, and orderly exchange arrangements. Left Business Observer - Newsletter on economics and politics. Multinational Monitor - Tracks corporate activity, especially in the Third World, focusing on the export of hazardous substances, worker health and safety, labor union issues and the environment. National Statistics and Databases - A directory of national statistics offices provided by the UN's International Labour Organization (ILO). CISDOC - Occupational Safety and Health database - Bibliographic database contains about 70,000 citations of documents that deal with occupational accidents and diseases as well as ways of preventing them. The types of documents are: laws and regulations, data sheets, training material, articles from periodical publications, books and standards. Database of Conditions of Work and Employment Laws - Pprovides a picture of the regulatory environment of working time, minimum wages and maternity protection in more than 100 countries around the world. EPLex - Employment protection legislation database - Contains information on the employment termination laws of some 85 countries. The information is broken down to cover more than 50 variables addressing all the key topics of employment protection legislation. The database is updated annually to facilitate the analysis of impacts and trends over time by theme and by country. ILOLEX - database of International Labour Standards and recommendations (including ratification information) - Full-text database of ILO conventions and recommendations, ratification information, comments of the Committee of Experts and the Committee on Freedom of Association, discussions of the Conference Committee, representations, complaints, General Surveys, and numerous related documents. Key Indicators of the Labour Market (KILM) - Published every two years since 1999, the KILM is a collection of 20 key indicators of the labour market, ranging from employment and variables relating to employment (status, sector, hours, etc.) to education, wages and compensation costs, labour productivity and working poverty. Labordoc - The ILO Library's database, contains references and full text access to the world's literature on the world of work. Labour Force Surveys - Compiles web sites which contain data from national statistical agencies, the ILO and other sources. Includes links to source web sites and references to print publications available in the ILO Library. LABORSTA - database of labour statistics - Covers official core labour statistics and estimates for over 200 countries since 1969. Also provides methodological descriptions of main national statistical sources. NATLEX - database of national labour, social security and related human rights legislation - Records in NATLEX provide abstracts of legislation and relevant citation information, and they are indexed by keywords and by subject classifications. Statistical Information and Monitoring Programme on Child Labour (IPEC-SIMPOC) - Provides access to a comprehensive compendium of child labour statistics and methodological guidance material. Processed child labour data can be accessed in the form of national child labour survey reports, statistical country-briefs and other resources derived from household-based SIMPOC surveys. A large number of micro-datasets are also available. New Political Economy - Journal seeking to represent the terrain of political economy scholarship across different disciplines, emphasising original and innovative work which explores new approaches and methodologies, and addresses core debates and issues of historical and contemporary relevance. Organisation for Economic Co-operation and Development (OECD) - The OECD groups 29 member countries in an organisation that, most importantly, provides governments a setting in which to discuss, develop and perfect economic and social policy. 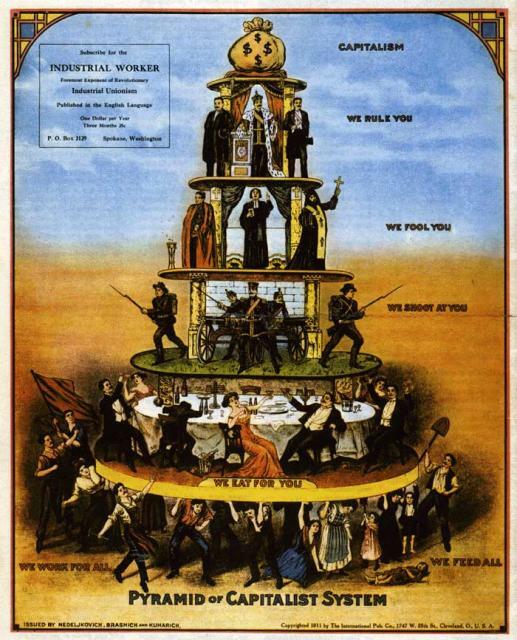 PolEcon - Analysis and commentary with a political economy slant. Maintained by Paul Kellogg, a teacher, researcher and writer at the Centre for Interdisciplinary Studies, Athabasca University, Alberta, Canada. Political Economy Research Institute (PERI) - An independent unit of the University of Massachusetts, Amherst, with close ties to the Department of Economics, seeking to focus public economics debate on human and ecological welfare. 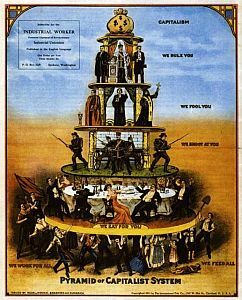 Political Economy: A Communist Critique of the Wage System - A Progressive Labor Party critique of the wage system. Political Science Sites of Working Papers - Links to scholarly working papers on political science and related fields. Research on Money and Finance - A network of political economists that have a track record in researching money and finance. Focusing on the rise of financialisation and the resulting intensification of crises, RMF aims to generate analytical work on the development of the monetary and the financial system in recent years. Resources for Economists on the Internet (RFE) - This guide is sponsored by the American Economic Association. It lists 2,000 resources in 97 sections and sub-sections available on the Internet of interest to academic and practicing economists, and those interested in economics. Sustainable Governance Indicators (SGI) - Challenges associated with migration, climate change, the depletion of resources, aging societies and new security risks demand sound policies and rapid adaptation on the part of state leadership. But how capable are OECD democracies in responding to these challenges? And just how sustainable are these responses? Employing both qualitative and quantitative research methods, the Sustainable Governance Indicators identify effective policy-making strategies throughout the OECD, with printed and online reports aimed at interested citizens, the media and policy practitioners alike. Union for Radical Political Economics (URPE) - An interdisciplinary association devoted to the study, development, and application of radical political economic analysis to social problems. International Bank for Reconstruction and Development (IBRD) - Aims to reduce poverty in middle-income and creditworthy poorer countries by promoting sustainable development through loans, guarantees, risk management products, and analytical and advisory services. International Centre for Settlement of Investment Disputes (ICSID) - An autonomous international institution established under the Convention on the Settlement of Investment Disputes between States and Nationals of Other States with over one hundred and forty member States. International Development Association (IDA) - World Bank's fund for the porest. International Finance Corporation (IFC) - Fosters sustainable economic growth in developing countries by financing private sector investment, mobilizing capital in the international financial markets, and providing advisory services to businesses and governments. Multilateral Investment Guarantee Agency (MIGA) - Promote foreign direct investment (FDI) into developing countries to help support economic growth, reduce poverty, and improve people's lives. It does this by providing political risk insurance (guarantees) to the private sector. WWW Virtual Library of Economics (WebEc) - Categorizes free information in economics on the WWW. WWW Virtual Library of International Business and Economics - Extensive compilation of resources and links. This webpage last updated on Thursday, November 29, 2018 1:51 PM.